Opinion pieces by Peter Lavelle, the host of RT’s shows CrossTalk and On the Money, who was also the anchor of the review programme In Context and the commentary series IMHO. They also spin Russian President Vladimir Putin has miscalculated in Ukraine and is trying to find a face-saving solution. Both spins are simply flat out wrong. The creators of the Ukraine crisis are desperate. Victoria Nuland and her band of ultranationalists and neo-fascists demonstrated they could pull-off a successful coup. This is not remarkable in any sense. Staging coups around the globe has been part and parcel of American statecraft for decades; particularly since the end of the Cold War. But in the case of Ukraine almost everything that has happened since the illegal takeover of power on the night February 21 has been a disaster. Crimea voted to return to Russia, regions of the east have held referenda on self-determination, the massacre in Odessa occurred, and the country’s economy is in a free fall. The planned presidential election is calculated to legitimize the coup and fast track Ukraine westward. It is not going to happen. 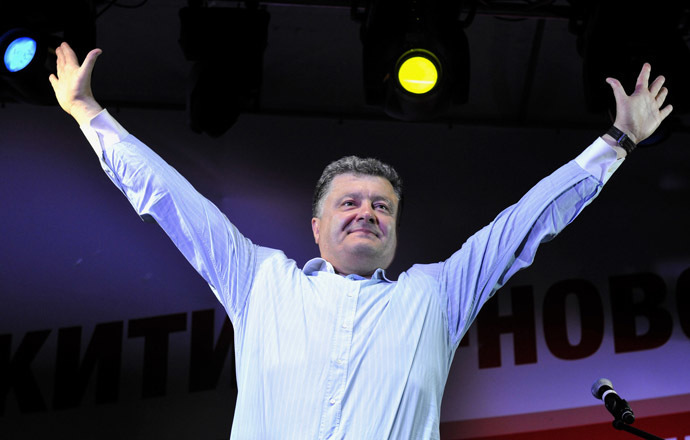 Petro Poroshenko, the Ukrainian oligarch known as the Chocolate King, is the presidential candidate who is expected to save Ukraine from the abyss and deliver his country to Washington, Brussels, and the IMF. Judging by polling numbers, he is quite likely to be elected by those who plan to vote (and millions in the east and south say they won’t). Legally speaking, this election has no legitimacy. 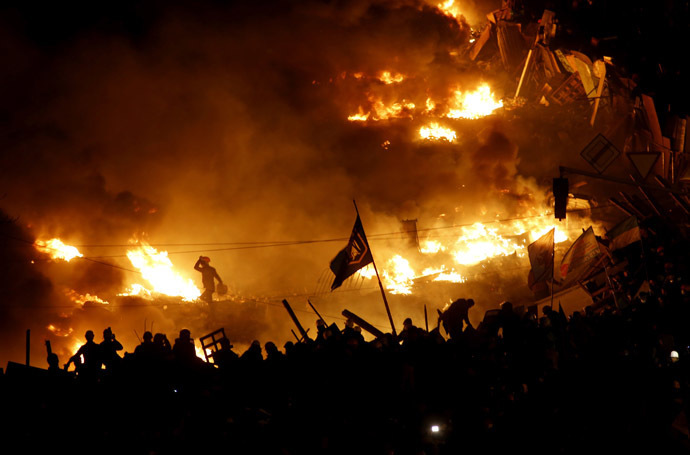 Ukraine’s constitutional order was destroyed on the night of the coup. Since then the country has been governed by a rump parliament, political parties not supporting the undemocratic government physically attacked, and presidential candidates intimidated. Poroshenko is set to be president, but this will hardly address Ukraine’s daunting problems. Poroshenko’s biggest political problems will not be the protesters in the east and south, nor will it be Russia. Ukraine’s next president will have to immediately deal with what western governments and media are reluctant to talk about: the nature of the political forces currently running Ukraine. Poroshenko did back the protests on the Maidan, but not all protesters on the Maidan supported Poroshenko. It is doubtful groups like Right Sector and Svoboda will simply change or drop their ultranationalist and racist views to please an opportunist oligarch like Poroshenko. The most likely outcome is probably the following: either Poroshenko attempts to appease their leaders with the trappings of power and wealth (and dilute whatever power he will have as president), or he will have to guard against still another Maidan uprising backed by the likes of Right Sector and Svoboda. Neither outcome bodes well for Ukraine. If Poroshenko continues the violent assault on the east and south he will demonstrate he is not president of all Ukrainians. But if he does reach out to the east and south, the radicals of the coup will be watching closely. Again, this is a lose-lose outcome for Ukraine. This is probably most tragic outcome of the forced collapse of the constitutional order – unelected radicals, racists, and ordinary thugs have been allowed to become important elements of the Ukrainian political landscape. Ukraine and the rest of the world have Washington to thank for this sad state of affairs. Let us now turn to Russia and the Kremlin’s view of Ukraine. Putin is not backing down or looking for a way out. Far from it. Ever since this artificial crisis began, Russia has been watching – and it continues to watch. Putin’s attitude regarding the May 25 presidential vote is one of indifference at best. Russia cannot stop the vote. But if Poroshenko can, somehow and in some way, prove himself as a leader of all the people, then Moscow has every interest in engaging the next Ukrainian president. But for reasons expressed above, this is hardly going to be the case. In the west there is a strong belief in elections. However, elections are not always an expression of democracy. Ukraine’s presidential election is first and foremost an exercise to legitimize Washington’s illegal meddling in Ukraine’s political and democratic process. It is doubtful this election will do anything to end Ukraine’s crisis. In fact, it may make it worse. Save this space: Ukraine’s May 25 presidential election will go down in history as the starting date when the Maidan started (still again) to rise up against the new authorities in Kiev. As usual, Russia will be watching. 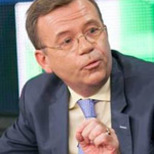 Peter Lavelle is host of RT’s political debate program ‘CrossTalk‘ and monthly business program ‘On the Money.’ His views are his own and not necessarily those of his employer.